Lynch Plastic Surgery Of Chevy Chase, Maryland Makes Plastic Surgery Affordable! Board Certified Plastic Surgeon Dr. Sheilah A. Lynch, offers to her patients the best prices for plastic / cosmetic surgery. Dr. Lynch would like to help everyone have the ability to look and feel their very best at an affordable price. When you are interested in plastic surgery procedures and / or cosmetic enhancements, Lynch Plastic Surgery has created a simple easy way to apply for plastic surgery financing options. 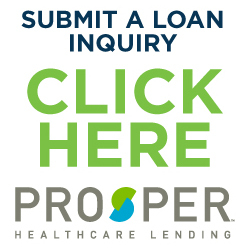 We are now offering 2 different choices, Prosper Healthcare Lending and Care Credit Financing. With our on-line application system, you can receive instant approval if you meet the qualifications. When deciding what amount to apply for, we suggest you have a consultation with Dr. Lynch first , and receive a price quote from our patient consultant. This will help give you a better idea of what to apply for. We can also discuss the different financing options to help you find the most suitable for your needs. One of the leading plastic surgery financing companies, Prosper Health Care Lending is known for low cost rates (for qualified applicants). When comparing different financing options, you have may find that other financing companies charged you high-interest rates, or turned you down. Prosper seems to be more relaxed in their guidelines, and is relatively easy to receive a loan that can help pay for your plastic surgery procedure without financial stress and worry.They offer simple interest loans with no prepayment penalties, no retroactive interest, longer terms for lower monthly payments, and an inquiry process that will only take you minutes to complete. Wouldn’t you love to enjoy your surgical enhancement results right now and pay later with convenient payment plans available through CareCredit? CareCredit – The leader in helping patients afford their desired plastic surgery. Care Credit financing allows patients to have the ability to get their procedure and pay over time. There are a number of different payment options available – some plans even offer a 0% promotional period! Apply before your visit with Dr. Lynch. Whether you decide to receive an in-office procedure or get an idea of what your realistic surgical budget will be for your desired surgical enhancement. Learn more on CareCredit’s Plastic Surgery Financing guide. Click here to fill out an application with CareCredit. Do you need affordable plastic surgery payments? CareCredit is a personal line of credit for cosmetic as well as healthcare procedures. It works like a credit card but it has two advantages. It can only be used for healthcare services and you can get No Interest* financing every time you use it. Simply pay your minimum monthly payment and pay off the entire balance by the end of your promotional period and you pay No Interest. CareCredit is designed specifically for your healthcare needs and wants, but once you’ve applied you can use it repeatedly . Because it is not meant for all consumer purchases you can manage your out-of-pocket medical costs more efficiently while enjoying No Interest* financing (for at least 6 months and perhaps more depending on plan) each time you use it. In addition there are no up-front costs, no pre-payment penalties, and no annual fees. Call us to find out more information about affordable plastic surgery payments!